If you’re headed to the Hamptons for the Fourth of July, you might want to listen up. Home essentials brand Snowe is getting the party started early by making an appearance at the AYR Beach House in Sag Harbor on Sunday, July 2, and Monday, July 3. The company has teamed up with the independent clothing brand to offer complimentary embroidery and monogramming on its signature beach towels (which are perfect for laying out on these guest-ready pool decks). Choose your favorite of the five colors, or grab one for each member of your #summersquad. 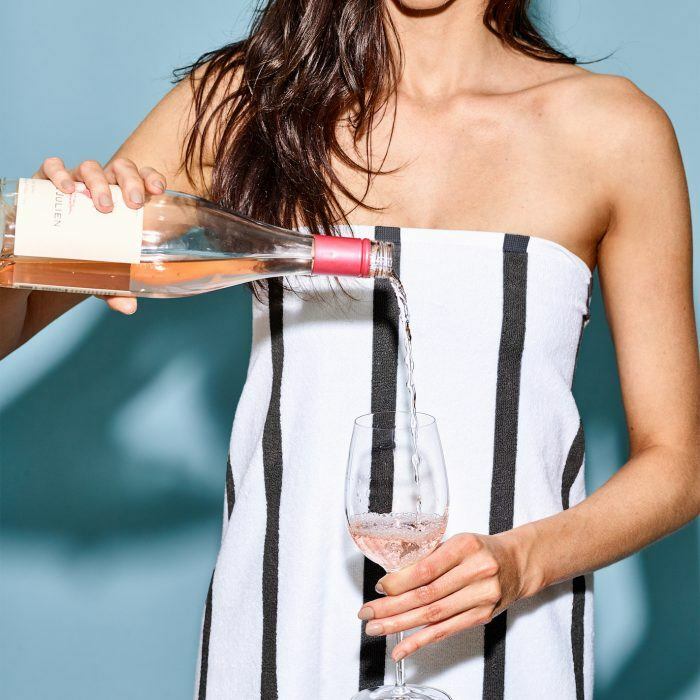 In addition to sipping plenty of bubbly — and perusing AYR‘s selection of flowing silhouettes and luxurious basics — shoppers can enjoy $25 off any purchase of $100 Snowe on products. Snowe’s highly curated product line of minimalist home luxuries at accessible prices recently won our hearts when the brand opened its multi-use showroom, The Whitespace, near Union Square in New York this winter. Its products blend into pretty much any home aesthetic — even the ones that don’t hold back on color, like this Miami-area abode. Packing for the long weekend? We’ve got you covered with eight summer essentials to bring with you whether you’re traveling by train, plane or jitney. The AYR Beach House is located at 25 Madison Street, Sag Harbor, New York.